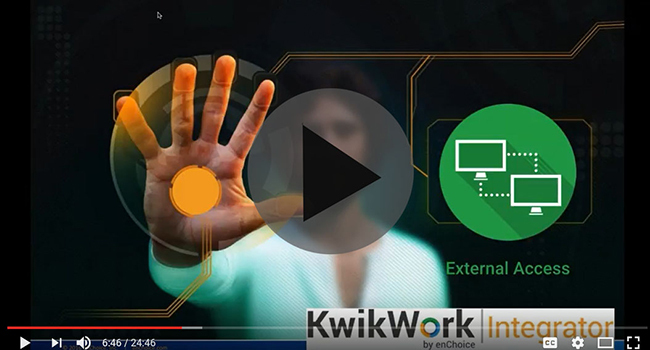 KwikWork Integrator reduces development costs and expedites IBM ECM deployments by eliminating the need to write code to integrate with external data sources. 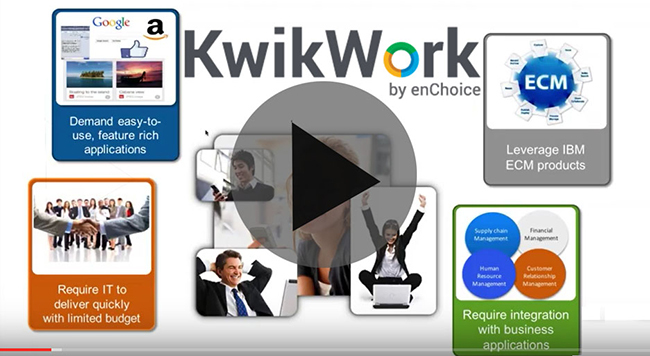 Watch this video to see how easy it is to create a lookup using KwikWork Integrator. See how KwikWork leverages the power of the IBM Content Navigator platform to deliver a highly intuitive and productive out-of-the-box user experience for IBM FileNet and other IBM enterprise content management solutions while minimizing costs and resources. 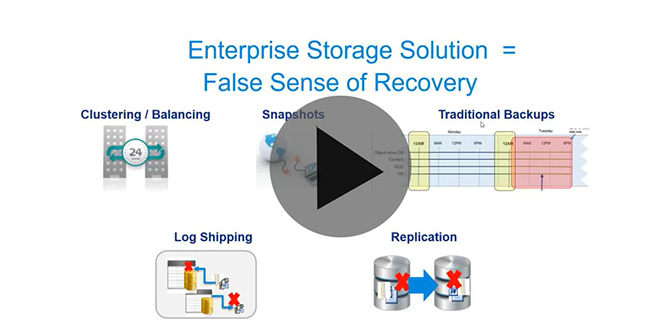 See a demo of a new capability within CYA SmartRecovery that leverages enterprise backup solutions to provide hot, consistent backups of the entire IBM FileNet P8 platform including the process engine and GCD. CYA SmartRecovery also enables recovery of one, several or thousands of P8 repository documents in response to operational incidents. 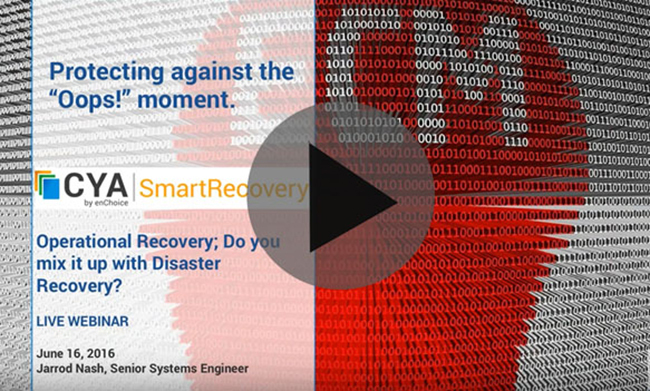 See how CYA SmartRecovery complements existing enterprise backup systems by providing hot, granular recovery for the OpenText Documentum repository in response to operational incidents, and reducing data loss to minutes in the event of a disaster. 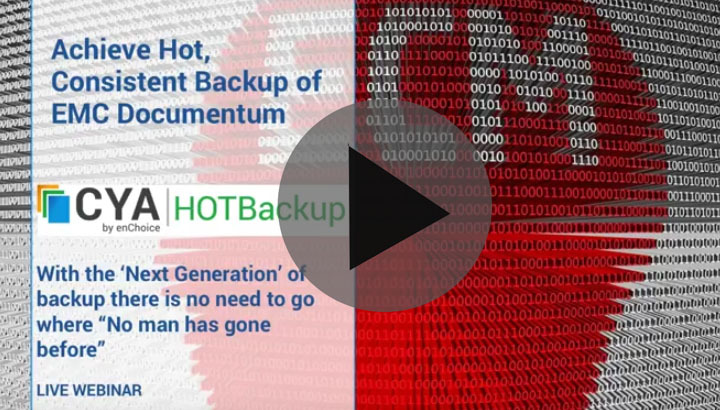 See how CYA HOTBackup™ from enChoice enables companies to eliminate planned Documentum downtime by working with enterprise backup systems to perform hot, consistent backups of the entire Documentum application that are automatically stored within EMC Avamar, EMC NetWorker, Symantec NetBackup or IBM Tivoli Storage Manager.